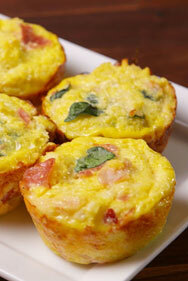 What breakfast is easy to make, nutritious and loved by kids? Every mother would love to know the answer. 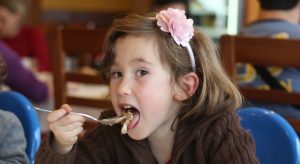 Often, kids do not like traditional breakfasts. They want something modern and easy to eat. Easy-to-eat food is sometimes called finger food. Of course, kids love finger food. The challenge is to give them modern, yet nutritious food that they will actually love to eat. Some children are anxious before they go to school in the morning. They might refuse to eat altogether. Therefore, it is very important that breakfast is so attractive in taste and in looks that they just cannot say ‘no’ to it. 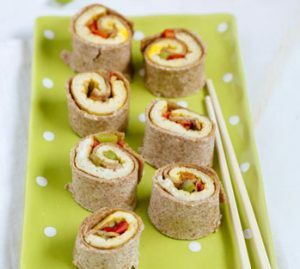 Here are a few breakfast ideas that will make mothers’, especially working mothers’, life easier. 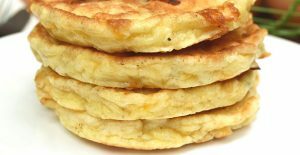 These recipes are handpicked, on the criteria that they are 1) nutritious, 2) modern, 3) easy to eat, 4) easy to cook, and 5) look attractive. Sautee the peppers together. Cook eggs over hot skillet, without scrambling them. In each tortilla, place one egg and put the peppers on tip. Toll the tortilla and cut sushi size. In a small saucepan, combine lemon juice and 1 Tbsp of the sugar and bring to a boil. Reduce heat and simmer for 5 to 6 minutes, stirring occasionally, until slightly thickened and syrupy. Se this aside. In a medium-sized bowl, whisk together the flour, baking powder, baking soda, remaining Tbsp sugar and a pinch of salt. Take a second bowl and whisk together the cottage cheese, milk and egg whites. You can now add the cottage cheese mixture to the flour mixture and mix until fully incorporated. Your pan cake mixture is now ready. Remember to make pancakes using a non-stick pan in low-medium heat. Oven should be preheated to 375 degrees F. Grate the cauliflower and transfer to a large bowl. (This is called riced cauliflower.) All the water should be sponged out using a paper towel. Combine eggs, cheddar cheese, and garlic powder, and whisk until combined. Now, fold in cheddar cheese, spinach and onion. Get a muffin tin ready for baking by greasing it with cooking spray, then fill each one with the mixture that has been prepared, about two-thirds full. Bake for about 20-25 minutes, or until lightly golden. Steam the sausages till they are cooked. Cut them into slices and keep aside. Now whisk the eggs with pepper and salt. Cook the eggs in medium heat, lightly scrambled. 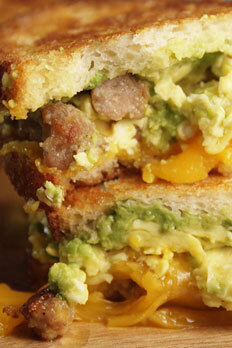 Make sandwich fillings with scrambled eggs, mashed avocado and cheese. Heat the butter in a skillet and place the sandwiches in. cover the skillet and cook in low flame. Flip the sandwiches after one side has become slightly golden brown. When both sides are light golden brown, your nutritious and delicious sandwiches are ready. 1 seeded red pepper, chopped. I seeded green pepper, chopped. 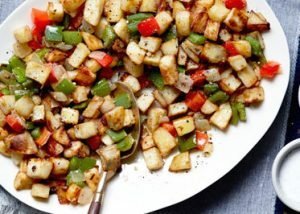 Oven should be preheated to 425 degrees F.
Toss together the potatoes, garlic, onion, green bell pepper, red bell pepper, olive oil, butter, salt, and pepper in a large bowl. Set the timer for 5 minutes, but shake twice within this time. Increase the heat to 500 degrees and bake until crisp and brown. It may take around 10 to 15 minutes. If necessary, sprinkle with a little more salt and pepper before serving.